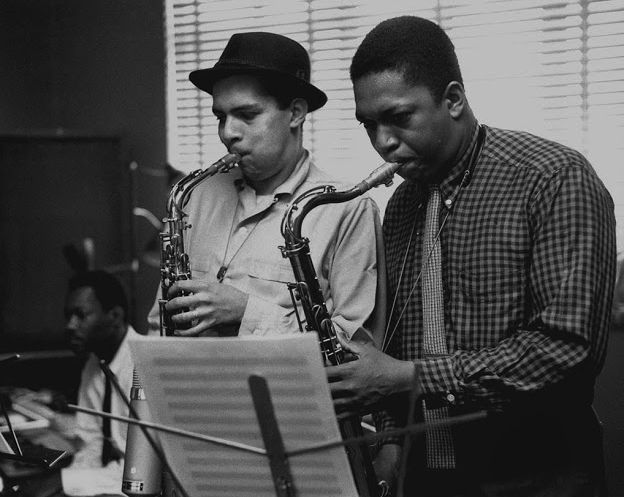 Jackie McLean: OK. Alright. It would be like, I guess…it’s a funny combination of people whose music I can get a feel for. Thelonious would be one of them. Thelonious, Tadd Dameron, kind of, and then a little later on, Gil Evans, his interpretations of some of that harmony and stuff. But all of them come from Duke, I learned that later on, you know, that they all come from Duke. But I had never thought of Duke as my inspiration for writing. I mean, I always loved his stuff. The more I learn about music the more amazed I am at what he was doing so early. SL: Wow. Another thing that made me think of possible Classical influences...the chord, the voicing for “A Fickle Sonance”, that stacked harmony. Or is that something you just heard?